Amirco manages several plots of land totalling over 488,000m2 that it has leased to clients. The facilities are equipped for stacking and storing of industrial and tubular equipment, heavy and oversize loads, and construction elements. Yards, specifically designed for stacking, allow you to raise the mast of a rig. Amirco also offers plots of land equipped for casing and tubular storage. We have the technology, certifications, physical resources, and experience to provide all the necessary support for tubular equipment. Our service package includes maintenance and management of materials within HSSE standards, casing management, full warehousing operations and control, stock location and storage management. We provide all-in-one invoice solutions, facilitating paper protocols. We can offer land on short and long-term leases as a pipe/laydown storage yard with full management and maintenance support. 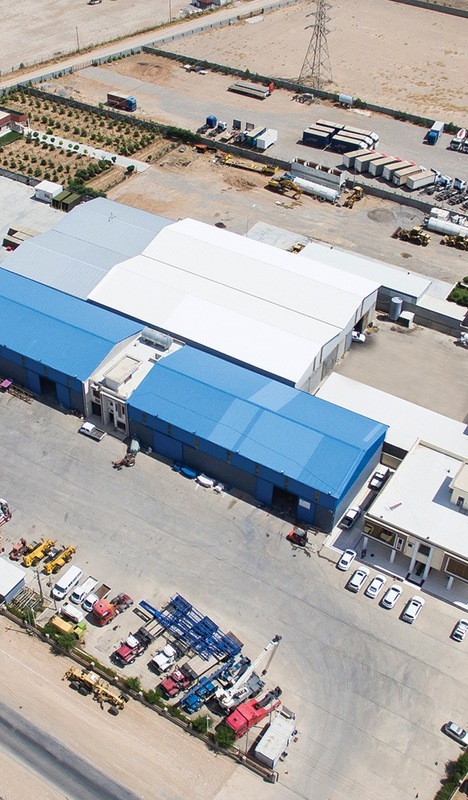 Amirco builds and provides customised workshops and covered warehousing facilities for its clients. The constructions are based upon a cinder block rendered steel frame ready for overhead hoist installation. You can choose options of ventilated iron roofing, security fencing, lockable emergency exists, concrete floor adjusted to heavy loads, the entrance gates permitting the movement of oversize loads or any other additional feature from our portfolio. We offer 24/7 security with dedicated security teams. In addition, Amirco is able to provide all support, maintenance and HSSE services for the facilities. Copyright © 2019 by Amirco. All Rights Reserved.